Greenwashing as defined by Wikipedia – the perception of consumers that they are being misled by a company regarding the environmental practices of the company or the environmental benefits of a product or service. I often find myself weary of buying “green” products at Big Box stores, since chances are a brand name company is trying to get me to buy their brand by throwing “green” on the label. Meanwhile, they’re not actually living up to the standards of consumers that are honestly trying to become green. I had this conversation with Dave at The Good Human one day on Twitter. I had to laugh when Dave had me sitting at my kitchen table with all my cleaners looking for ingredients and tweeting away. Wouldn’t you know that most of my “green” products did not disclose their ingredients? How is a consumer supposed to make an educated purchase? 1. Sin of the Hidden Trade-Off: Suggesting a product is green based on a single attribute, such as the recycled content of paper for example, without attention to other issues such as energy, global warming, water and forestry impacts of paper. 2. Sin of No Proof: Failing to substantiate a claim by easily accessible supporting information or by a reliable third-party certification, such as a claim that a light bulb is energy efficient, but the product lacks certification. 3. Sin of Vagueness: Making a claim that is so poorly defined or broad that its real meaning is likely to be misunderstood, such as the terms ‘green’ and ‘environmentally friendly,’ which are meaningless without elaboration. 4. Sin of Lesser of Two Evils: Claiming that a product, such as cigarettes made with organic tobacco, is green, and obscuring the fact that smoking is damaging. 5. Sin of Irrelevance: Making a claim that may be truthful, but is unimportant and not helpful for those seeking environmentally referable products. For example, stating that a product is free of chlorofluorocarbons, which deplete the ozone layer. Since CFCs have been banned for 30 years, no products are manufactured with it. 6. Sin of Fibbing: Making a false claim, for example, that a product is certified when it’s not. Read some of Dave’s other great greenwashing posts on big name companies! In the New Year look for companies truly passionate about bringing green products to your home! Look for companies that disclose their ingredients upfront or are at least happy to respond if you ask. If they don’t, chances are they have something to hide and you’re being greenwashed! My Flaunt It! Monday series does some of the work for you. I research the companies I bring to you, to the best of my ability. I try to make sure you are being introduced to companies that are proud to bring you safe and environmentally friendly products. As a disclaimer, I cannot guarantee anything I review or giveaway and if I miss something always feel free to contact me! 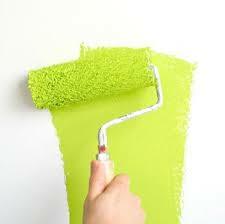 There is just so much greenwashing around us today. Every product appears to now have some environmental credentials – worth being a little careful. http://tinyurl.com/7lwxv5 A Little Less Greenwashing In Your New Year!